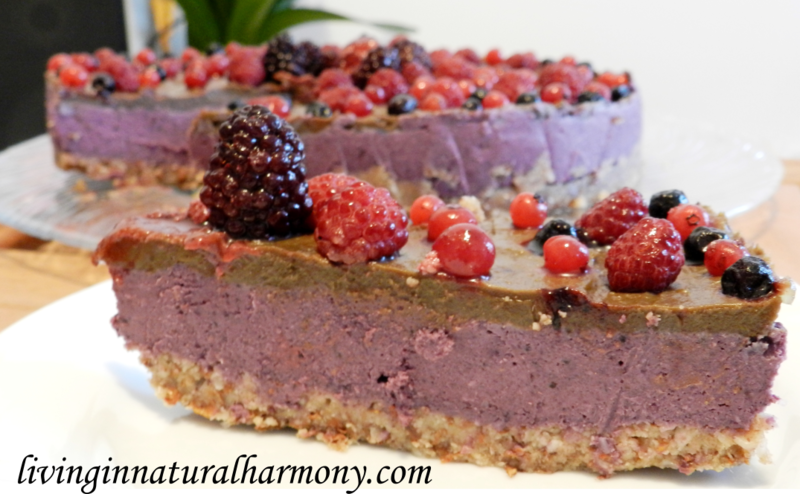 This week, I would like to share with you one of my favorite cake recipes: a raw vegan berry cheesecake. Until now, I have been sharing recipes that are fairly easy and fast to make. This recipe is also really easy but it takes a bit longer to make than the others. But I promise you that it is totally worth the effort! 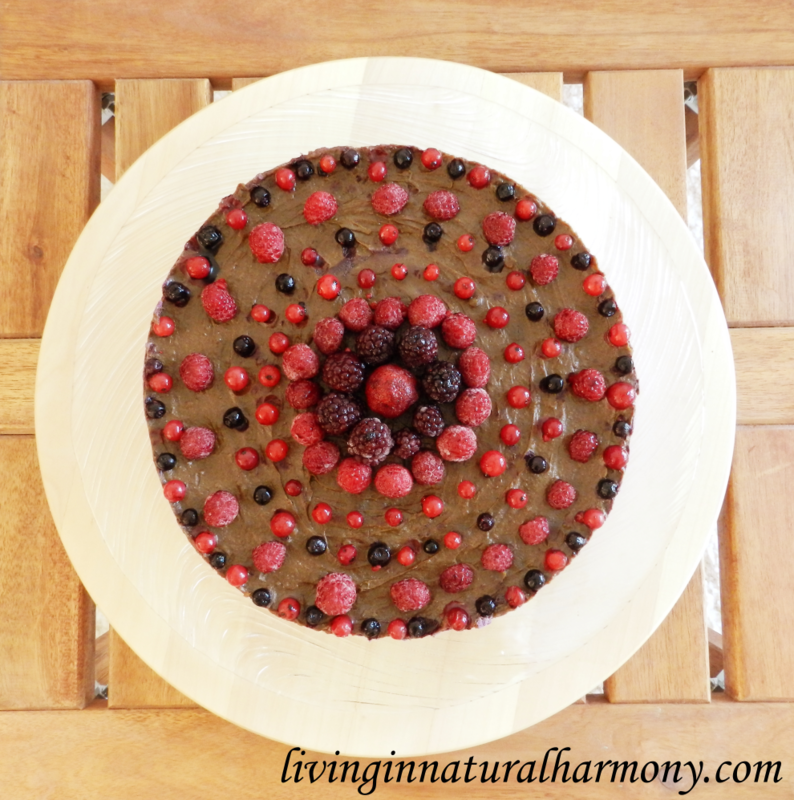 This is a really delicious, healthy and completely guilt-free cake! 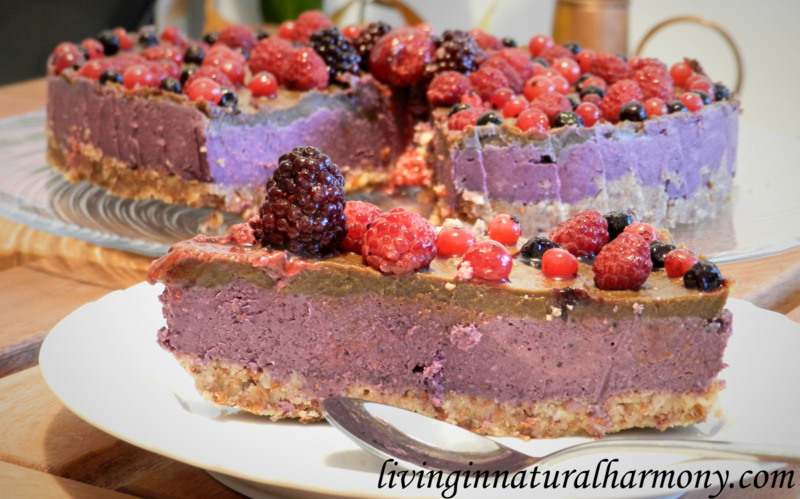 🙂 As all my recipes, it is sugar free and only contains super healthy ingredients. 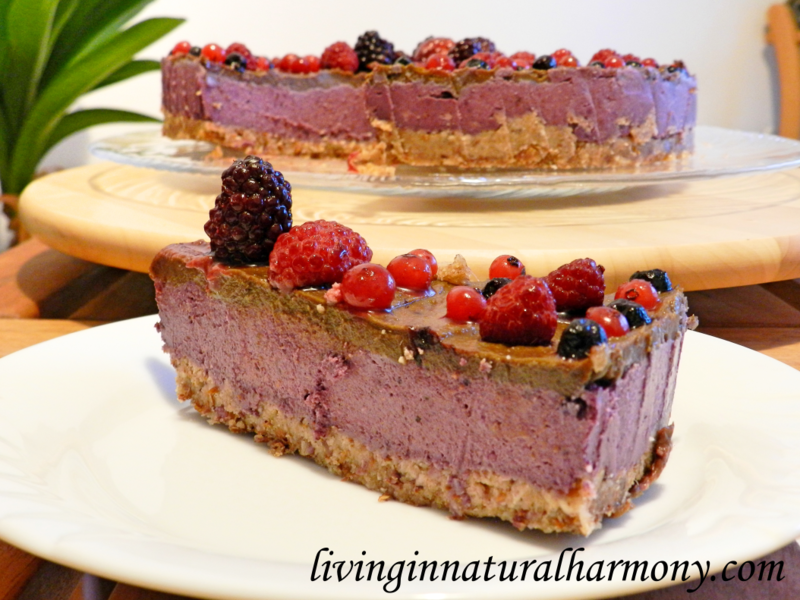 Also, if you avoid gluten, don’t worry: this vegan cheesecake is also gluten-free. 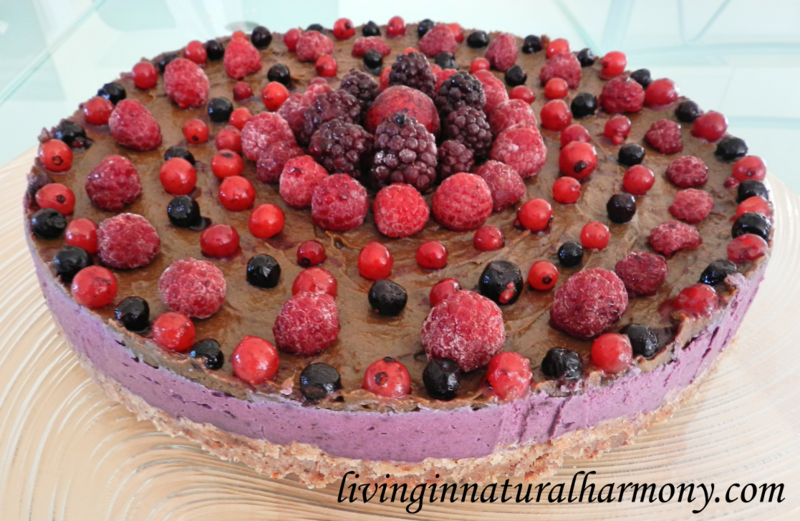 You can serve this raw vegan cheesecake as a dessert to your family and guests, but it could also be a very tasty, healthy and nutritious breakfast :). Note that you should start the preparation of this cake at least 1 day before serving. 1. 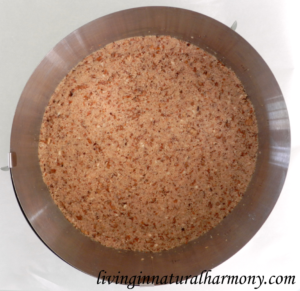 Soak the almonds in water for about 8 hours, the cashews for about 4 hours, and the dates for about 1 hour. If you only have frozen berries, take them out of the deep freezer and let them unfreeze. This recipe works better if the berries are not frozen. 2. Throw the water away and rinse everything well. 3. Add all ingredients of the first layer to a food processor and blend at low speed. Note: You don’t have to obtain a completely homogenous dough – it’s ok if you still find little nut pieces in the dough. 4. Place a cake setting ring of about 25cm on a big plate. Add here the crust dough and press it down with your fingers. 5. Place the crust in the fridge while you prepare the middle layer. Optional: If you have a dehydrator, place the crust in there for a couple of hours (or longer if you want it crunchy) at 40°C. 6. Add all ingredients for the middle layer to a blender. Mix until you obtain a smooth mixture. 7. Pour this filling over the crust. Let this to set in the fridge overnight or, if you are in a hurry, put it in the deep freezer for about 2 hours. 8. Add all ingredients for the third layer to your blender. Blend until the mixture is homogeneous and smooth. 9. Pour it over the middle layer. 10. Add some decoration to the top of the cake :). 11. Keep it in the fridge for some hours or in the deep freezer for about 2h. If you are in a hurry, you can also serve it immediately, but the top layer will be still soft (which I think it’s ok). 12. Remove the cake setting ring. Looks amazing!!! I’ll be trying this one definitely!